THE ORIGINAL AUDIOBOOK EDITION WAS PUBLISHED AS ZILLOW TALK: THE NEW RULES OF REAL ESTATE. 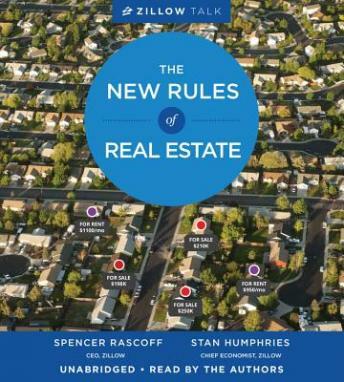 THE NEW TITLE OF THIS BOOK IN OTHER EDITIONS IS ZILLOW TALK: REWRITING THE RULES OF REAL ESTATE. 'THE NEW RULES OF REAL ESTATE' IS A REGISTERED TRADEMARK OF FIRST TEAM REAL ESTATE-ORANGE COUNTY. The New York Times bestseller--now updated with a new chapter! I enjoyed the subtle humor of this book and it kept me engaged through out most of it. Towards the end it fizzled, blasé. Not a memorable read.